As the web has evolved, it seems like there are more reading distractions. Some websites are so aggressive at displaying ads; it’s hard to follow the article. In other cases, sites present articles in multiple pages to increase page views. And some sites use styles which are harder to read such as white text on dark backgrounds. Fortunately, there is a free browser add-on that solves these issues and more. 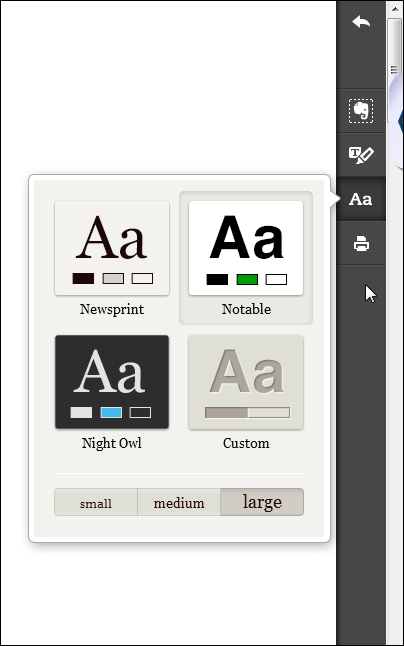 The browser add-on is called Clearly and is made by Evernote. As the name suggests, it makes what you’re reading clearer and cleaner by removing elements. The result is you see the article in a more readable format. It reminds me of how my articles look in a word processor or the Reading View on the Kindle HDX. I find this cleaner format useful when reading instructional pieces or long articles. The last thing I want is to see some ad placed inline which steals focus. This doesn’t mean I ignore the ads. But I look at them after I’ve read the content. It’s my way of controlling interruption marketing. To give an example of how Clearly works, take a look at the 2 screen shots below. 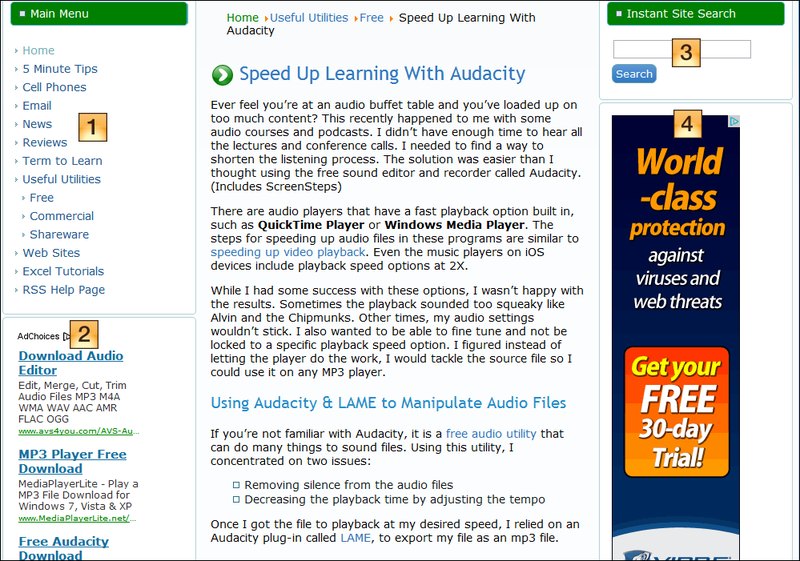 The first is the article I wrote on using Audacity to shorten listening time. The numbered items represent the areas that Clearly removes when I click the toolbar button. The result is a simpler layout, which is easier to read. What’s appealing about the view is that Clearly retains the images. Although you can’t see it in the snap above, the tool kept my small thumbnail images. One downside is if you click the image’s magnifying glass, you don’t get the light box effect and features. The add-on also provides additional functionality via a control panel on the right. As expected, this includes Evernote integration although an account is not required. You can use the marker icon to highlight text which also appears within Evernote. If you don’t like the default view you can switch styles or create your own. Yes, you can even take my black text on white and reverse it. The last feature I appreciate is print as it corrects a problem on many websites, which is a print-friendly version. This tool works around that problem by stripping out the stuff I wouldn’t want. The only drawback I saw is if I highlighted text, it wouldn’t appear in the printed version. Update: 12/18/2015 Evernote is discontinuing support for Clearly. You can read more about this on their blog. The bottom line is if you want a distraction-free reading experience, you should try out Evernote’s Clearly browser add-on. It's very useful for long articles and ones with pagination. The browser add-on works with Google Chrome. Mozilla Firefox and Opera.